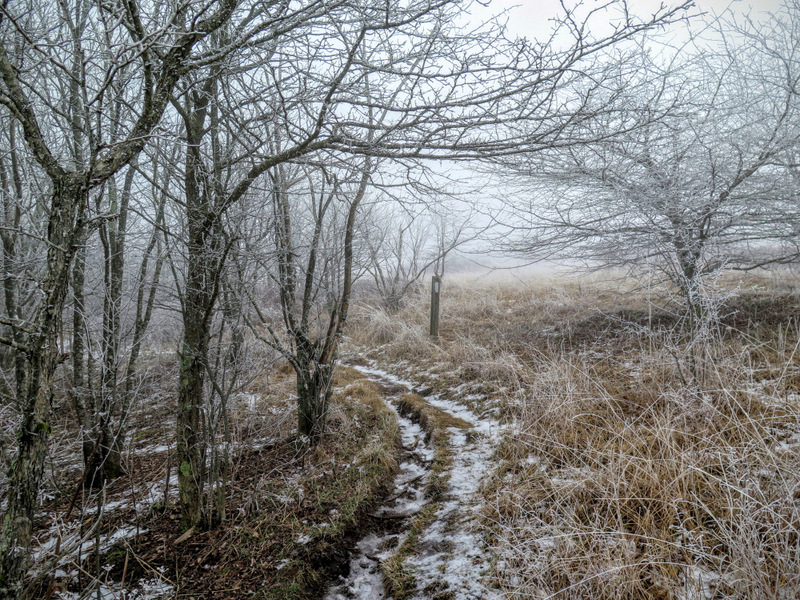 The long trek to Big Bald is a classic Appalachian Trail hike in the Southeast. 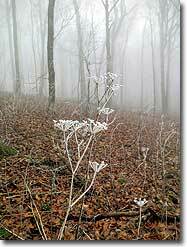 (Unless you happen to be staying at the Wolf Laurel Resort, then you can take a much shorter hike to the summit.) 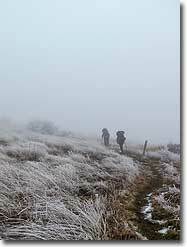 Although long at 13 miles, this hike feels much easier than most because it is well-maintained and the grades are never too steep. 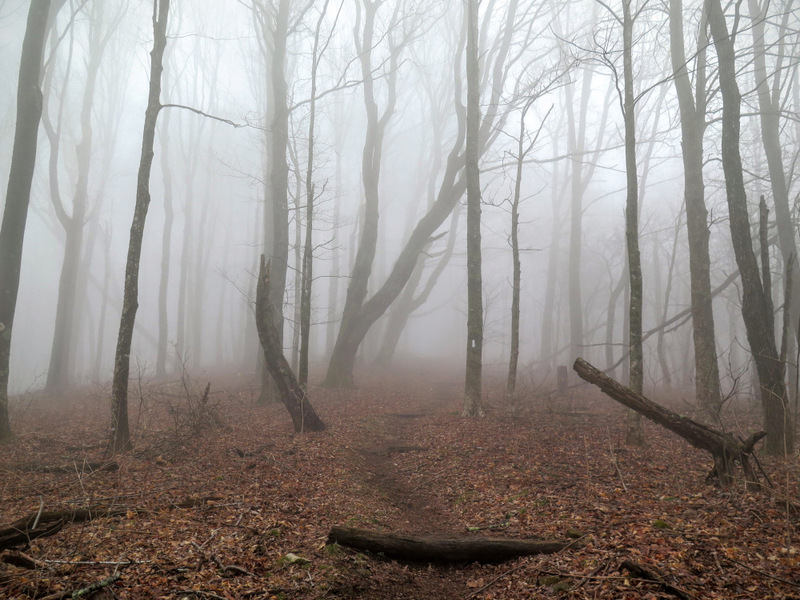 It is also conveniently located off I-26, which means it is can be hiked all winter while other trails in the region may be inaccessible. 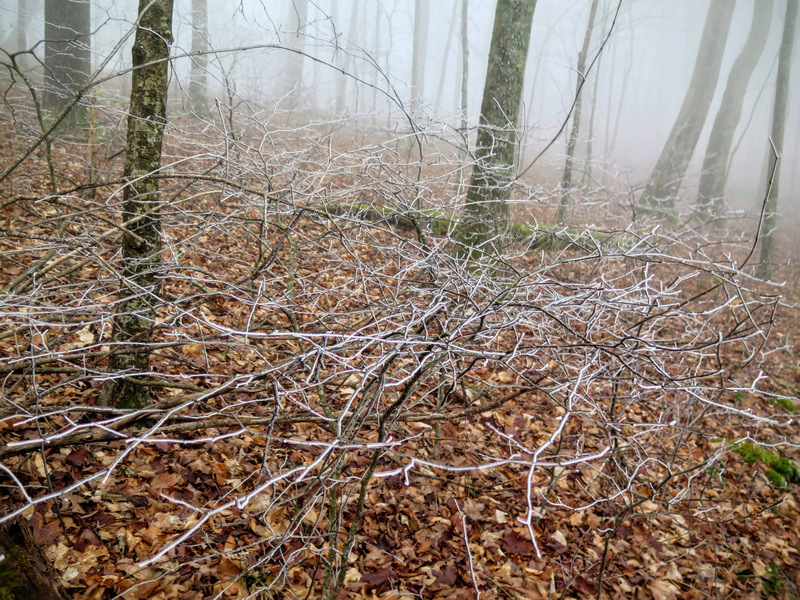 The hike starts at Sams Gap on the NC/TN border and gradually ascends through maple and oak forest for 6.5 miles to the expansive summit of Big Bald. 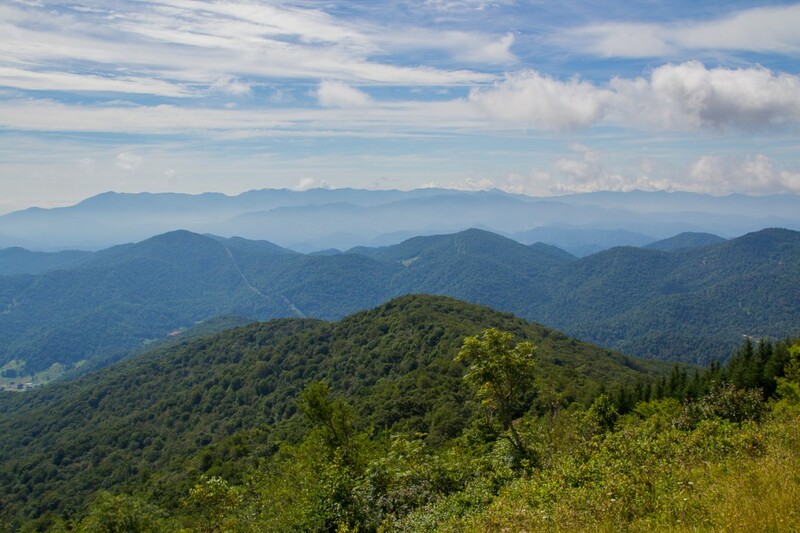 From this lofty grassy bald at 5,516 feet, one of the finest in the Southeast, you’ll have 360° views of the Appalachian Mountains of North Carolina and Tennessee. 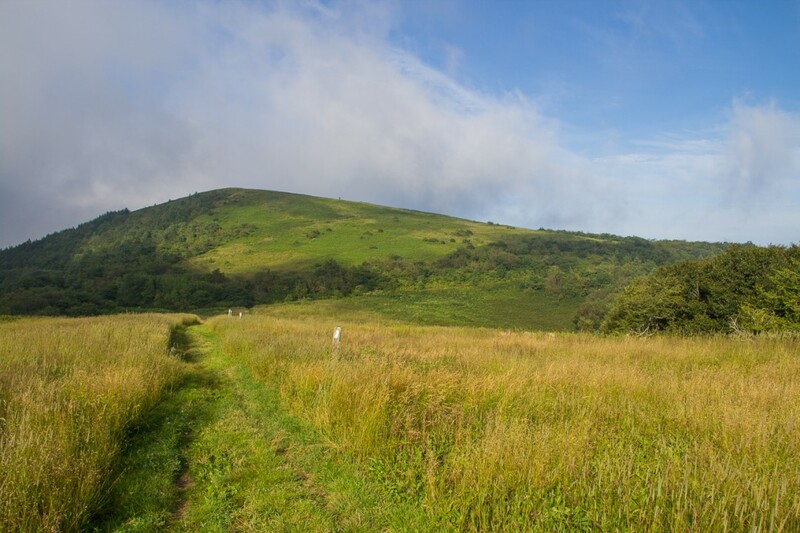 Although Big Bald is the tallest peak on the Appalachian Trail for 148 miles you’ll be dwarfed by the Black Mountains (southeast) and Great Smoky Mountains (southwest), the two tallest ranges on the East Coast. 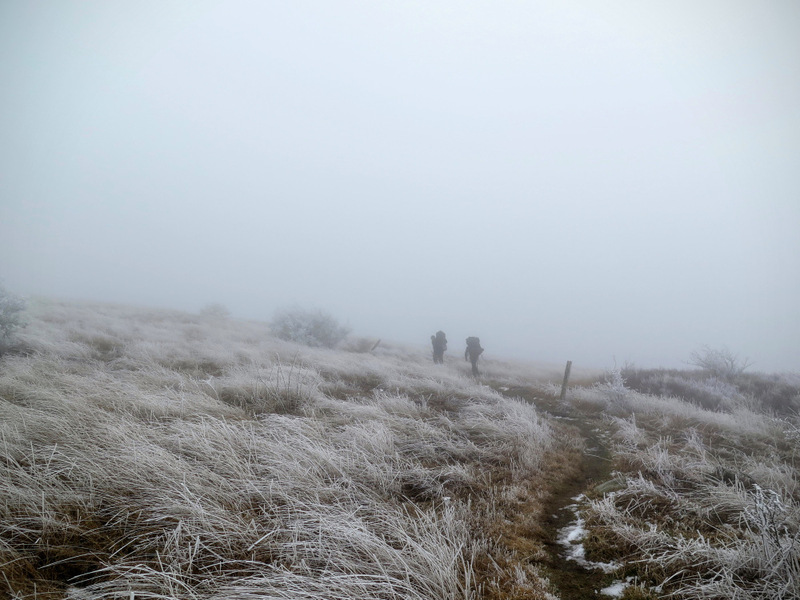 You’ll also have clear views of the Roan Highlands, Great Craggy Mountains, Bald Mountains, and Newfound Mountains from the summit. 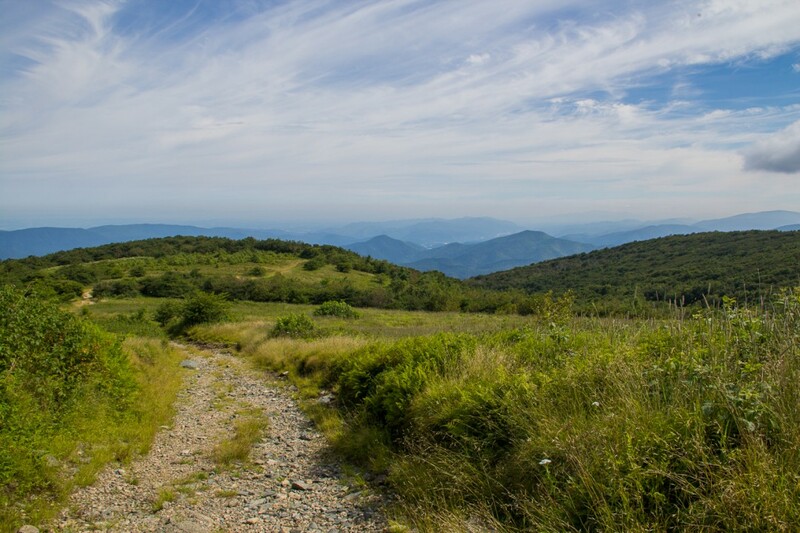 Big Bald is truly a special mountain and should be at the top of your hiking priority list. 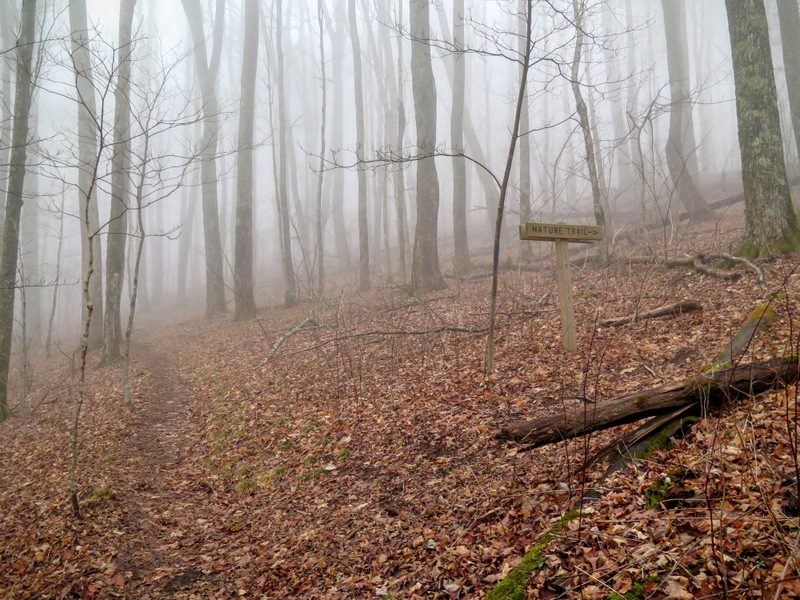 Mile 0.0 – From Sams Gap locate the Appalachian Trail white blaze on the north/right side of I-26. 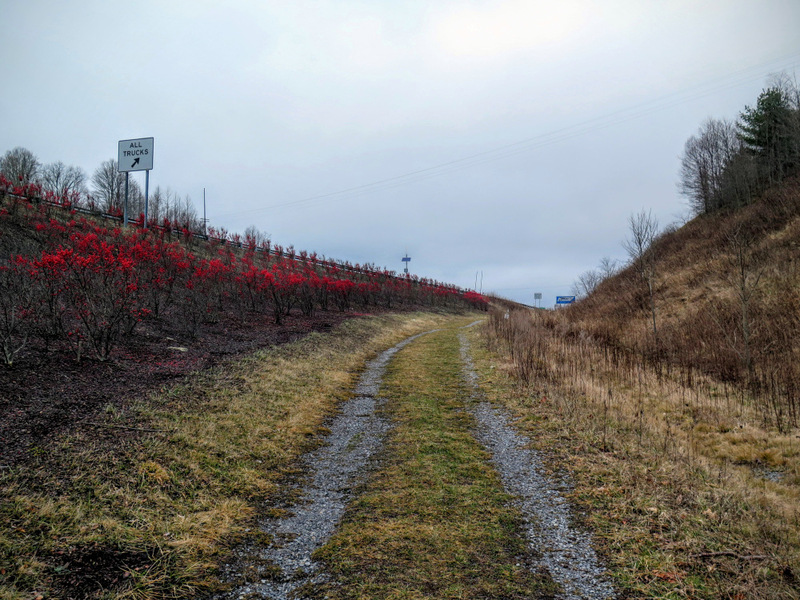 Follow the Appalachian Trail beside the interstate. 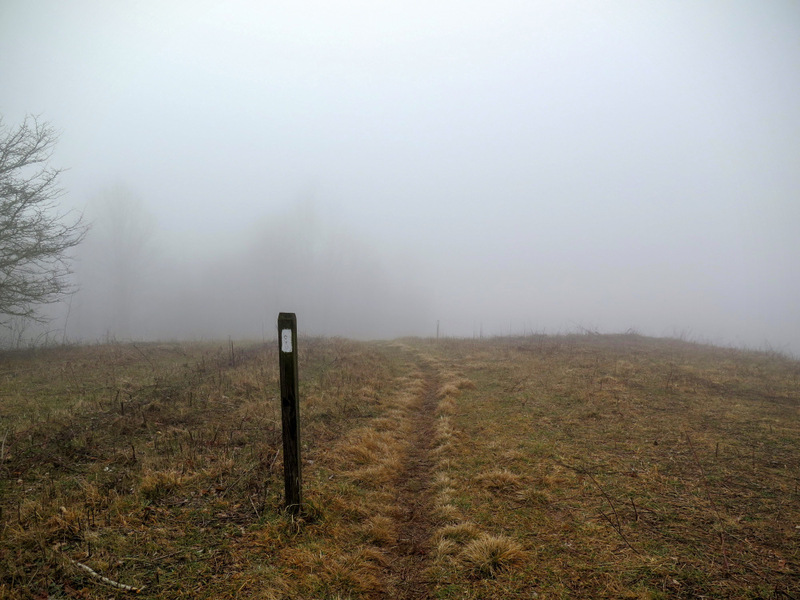 Mile 0.1 – Turn right on the AT leaving the interstate clearing and switchbacking above heading south then east Sams Gap. 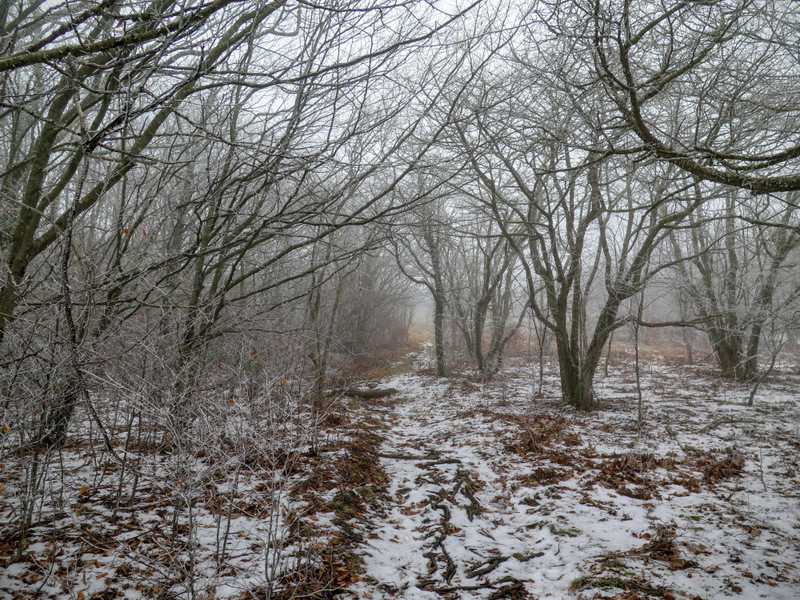 Mile 0.4 – The AT swings north entering deciduous forest. 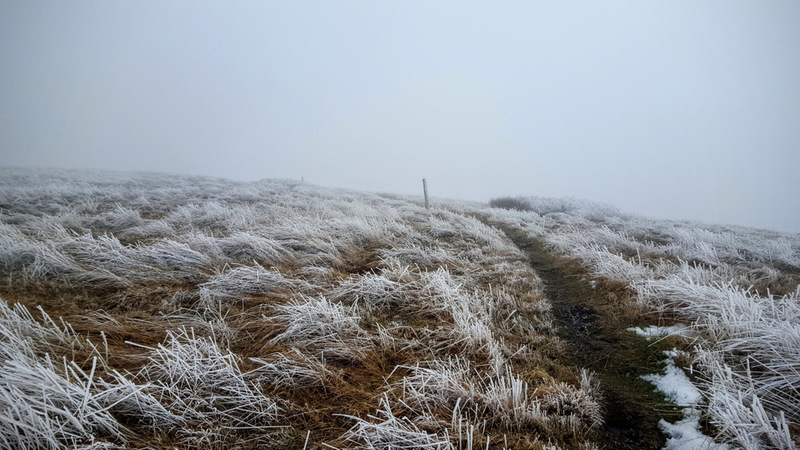 Mile 0.9 – Begin a steep climb to the summit of West Street Gap Peak. 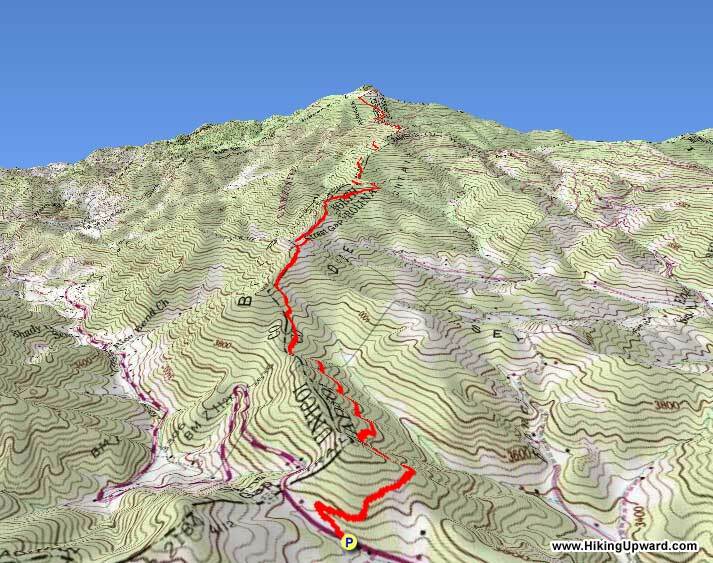 This 0.9-mile climb over 600 feet is the toughest of the day. 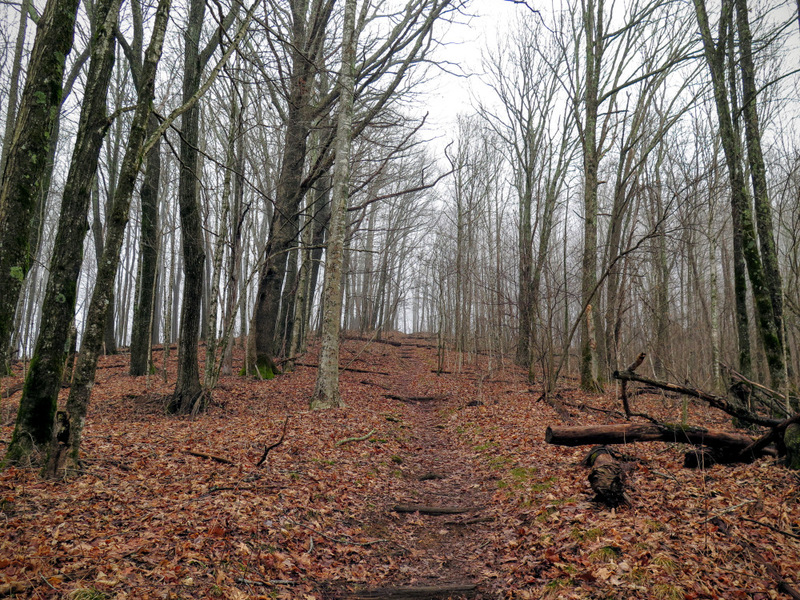 Mile 1.8 – Reach the summit of West Street Gap Peak (4,440 feet). 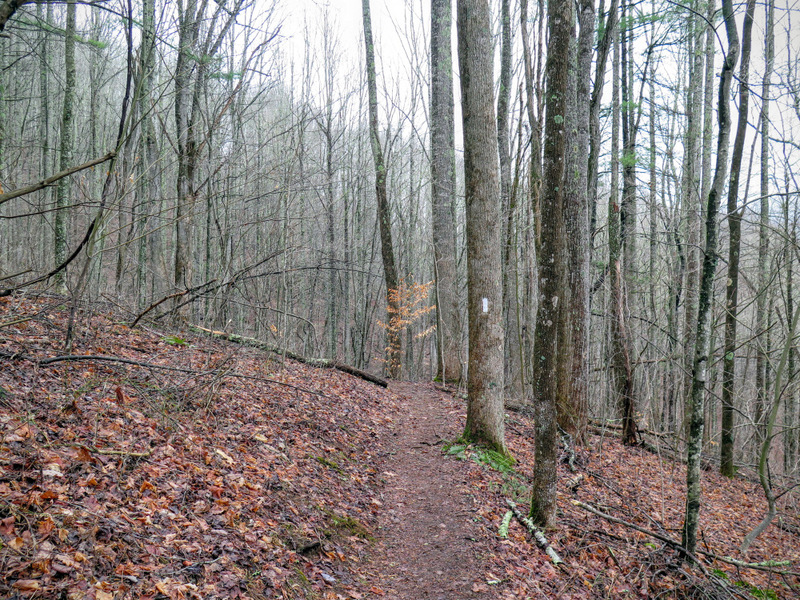 There are campsites on each side of the trail, although camping here is discouraged because the sites are too close to the trail. 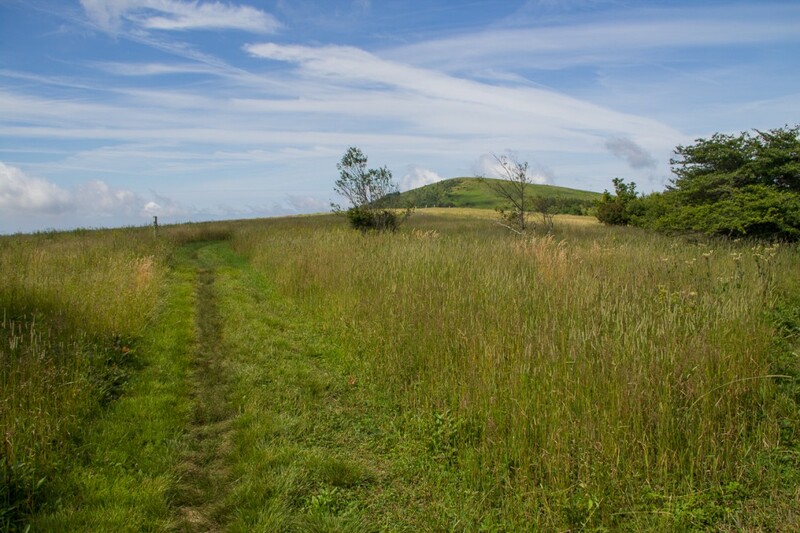 The trail leaves the forest on the east side of the summit passing through a maintained grassy field with views north of Big Bald and northeast of Wolf Ridge Ski Resort. 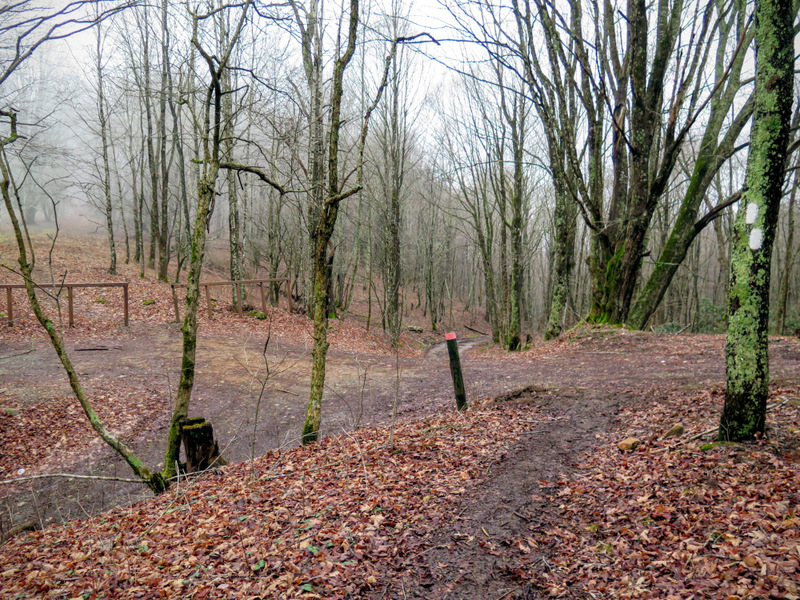 Mile 2.0 – The trail descends via switchbacks towards Street Gap. 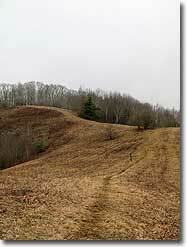 Avoid the obvious eroded paths that head straight down bypassing the switchbacks. Mile 2.3 – At Street Gap the Appalachian Trail crosses S.R. 1502/Streets Gap Road. On the other side of the gap is a view west through a clearing. You may be able to see I-26 coursing through the mountains far below. 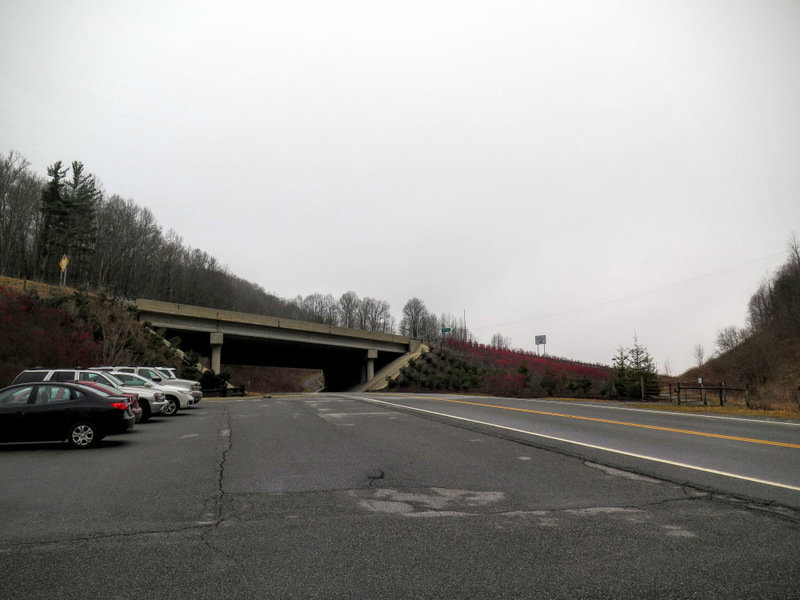 Mile 3.8 – T-junction with Nature Trail on the right, part of the private Wolf Laurel Resort. 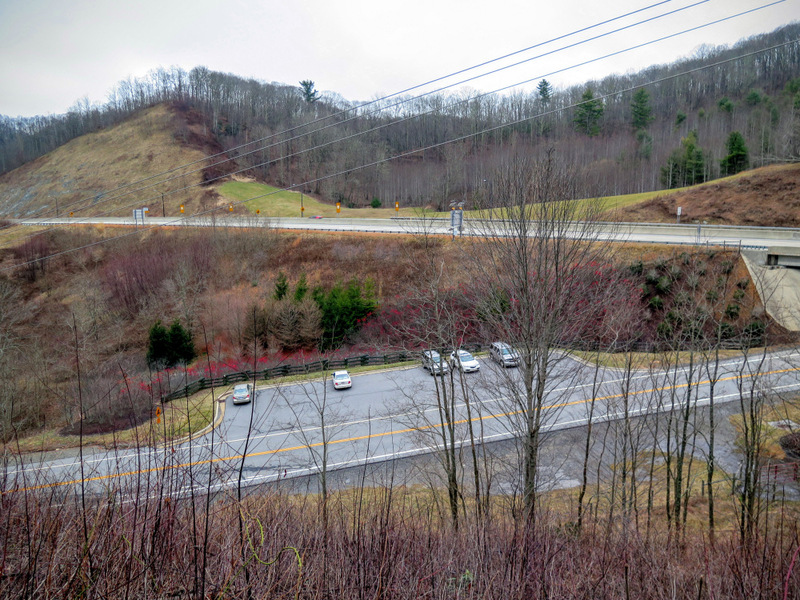 Mile 5.2 – T-junction with a side trail to utilities compound and service road for the Wolf Laurel Resort. 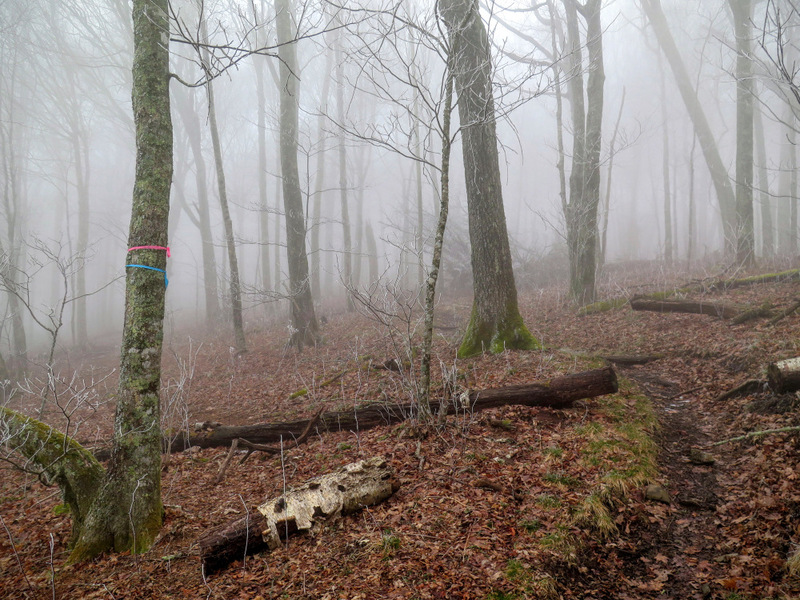 Mile 5.3 – Side trail marked with flagging tape rejoins from the left. 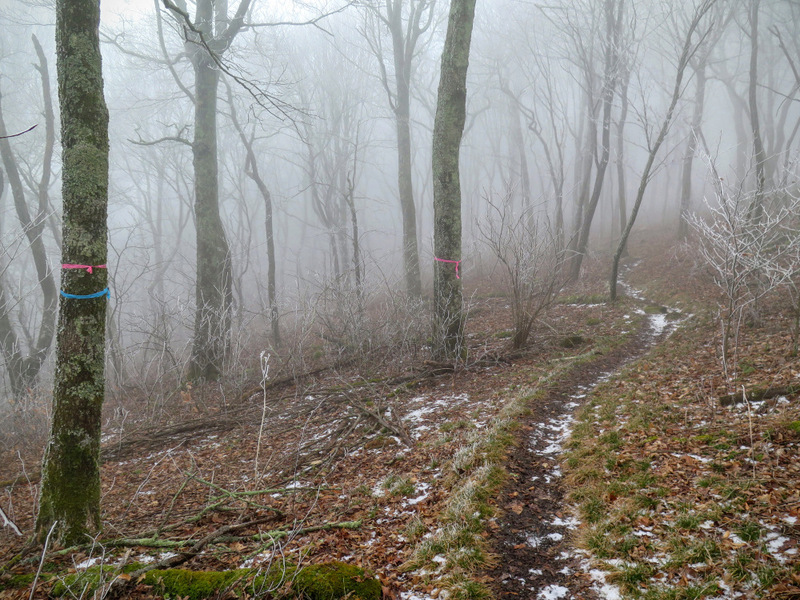 Mile 5.8 – Y-junction with the AT Alternate Trail (blue blaze) on the right. 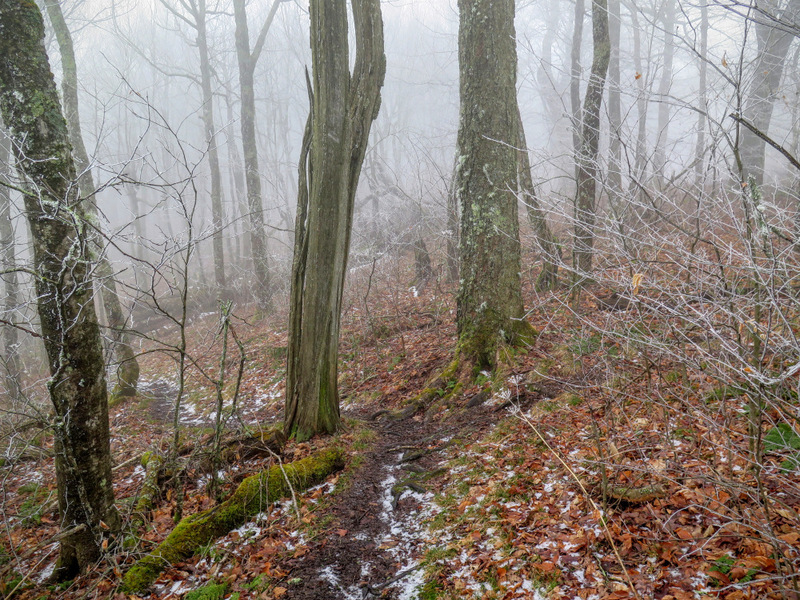 Continue left on the Appalachian Trail which starts climbing a moderately steep grade towards the top of Big Bald. 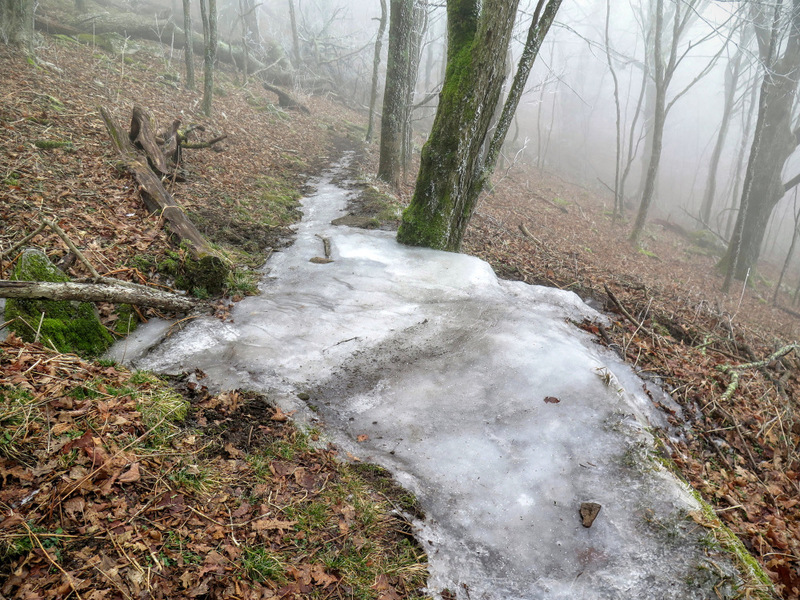 The Alternate Trail can be used to bypass the exposed summit of Big Bald during bad weather. 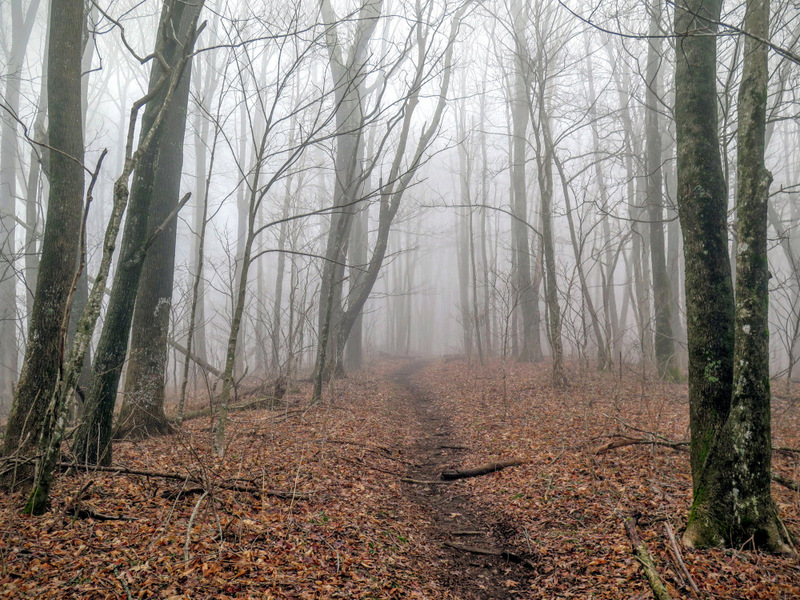 Mile 6.2 – The trail turns right and gradually leaves the forest behind, emerging onto a vast grassy bald as you near the summit. 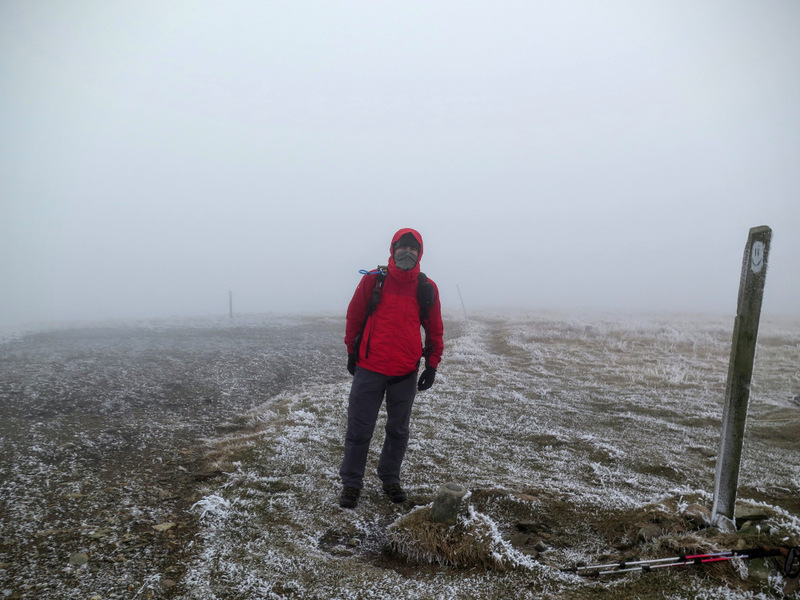 Mile 6.4 – Reach the summit of Big Bald. 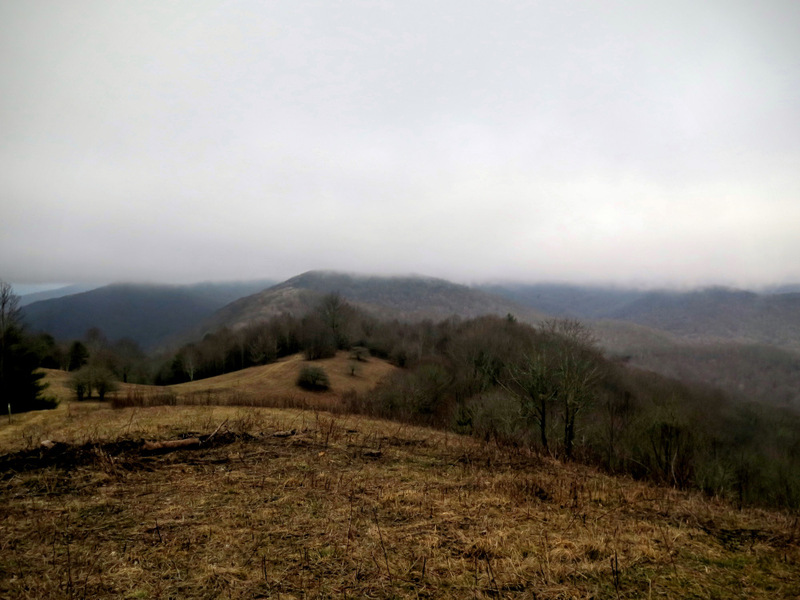 At 5,516 feet, this is the tallest peak in the Bald Mountains that straddle the North Carolina/Tennessee border and the tallest peak for 148 miles of the Appalachian Trail between the Great Smoky Mountains to the southwest and the Roan Highlands to the northeast. Immediately south you can see the houses and ski slopes of the Wolf Ridge Ski Resort. Further south the I-26 corridor leads to Asheville. 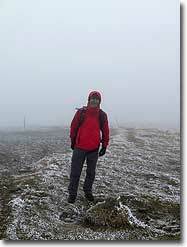 To the south-southeast the Great Craggy Mountains and Black Mountains dominate the region. 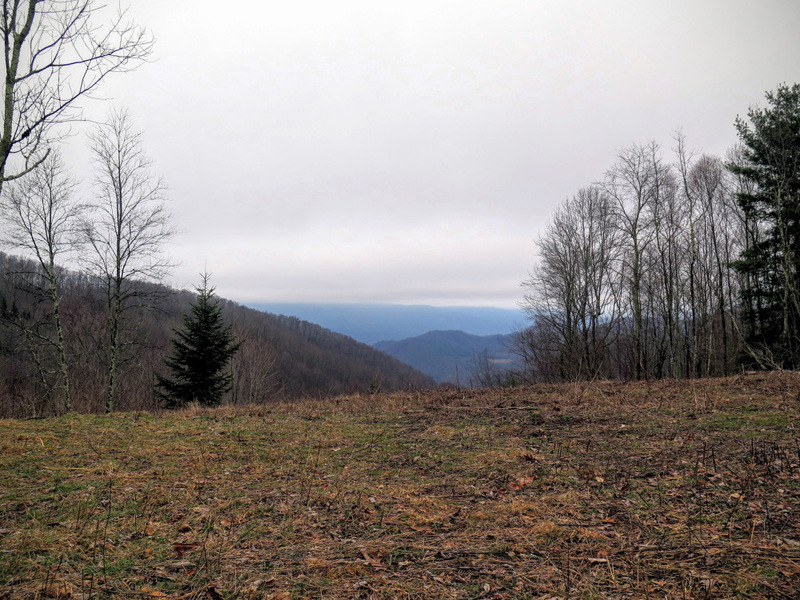 You may be able to spot the notable summits of Linville Gorge in the distant east. 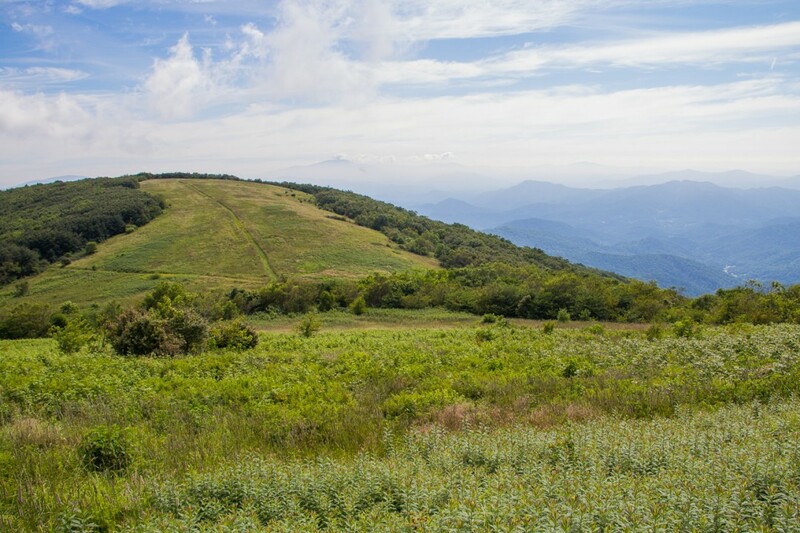 The first big peak in the north-northeast direction is Unaka Mountain, with the much taller peaks of the Roan Highlands further behind in the northeast direction. Almost due north the Nolichucky River sharply cuts between the mountains of Tennessee leading to Erwin and eventually Johnson City. 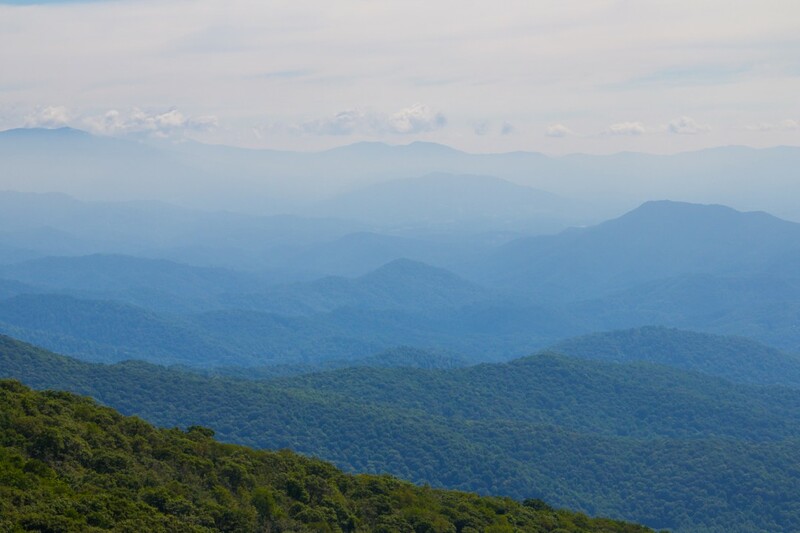 To the southwest the Bald Mountains and Newfound Mountains seem noticeably small in the forefront of the Great Smoky Mountains. 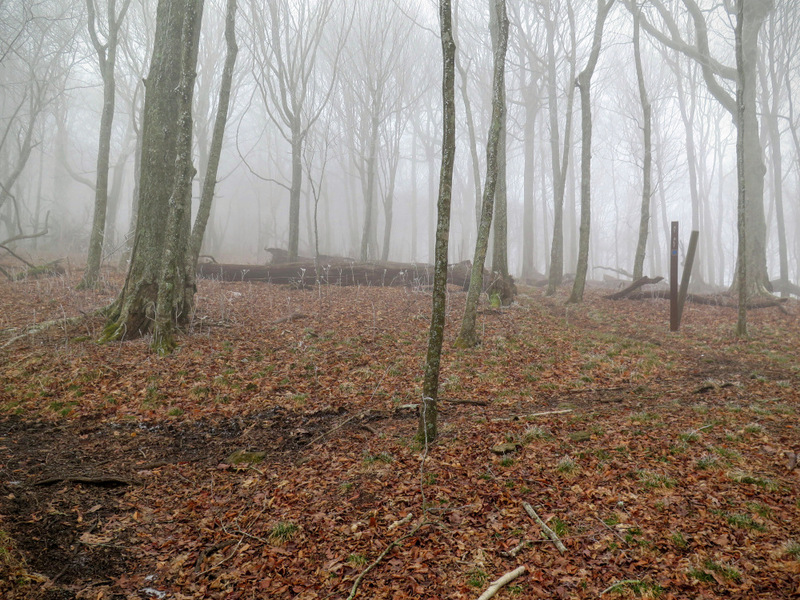 If you have time you should continue north on the Appalachian Trail to Big Stamp, a bald sub peak of Big Bald. 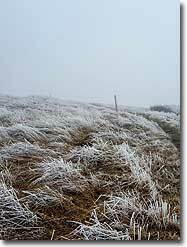 You can see open grass extending to Big Stamp from Big Bald, it is less than a mile between the peaks. 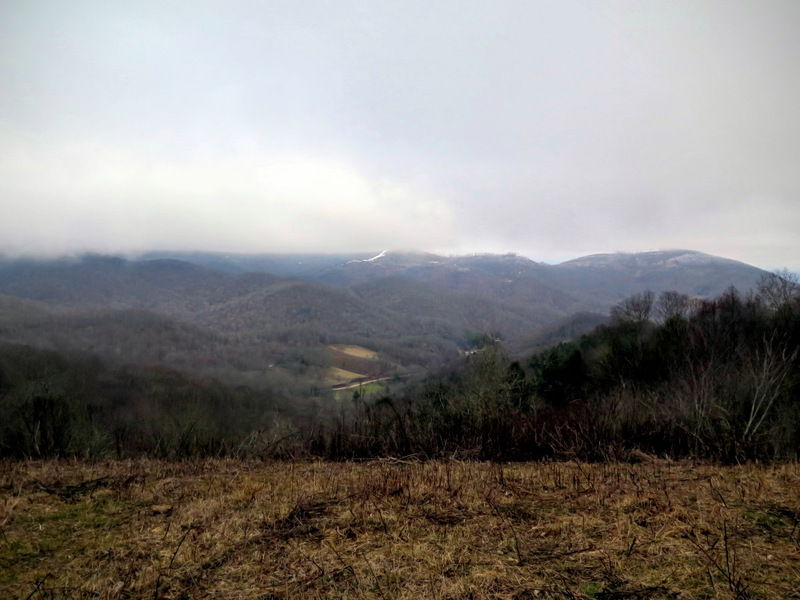 After you’re done exploring the area turn around and head south on the AT towards Sams Gap. 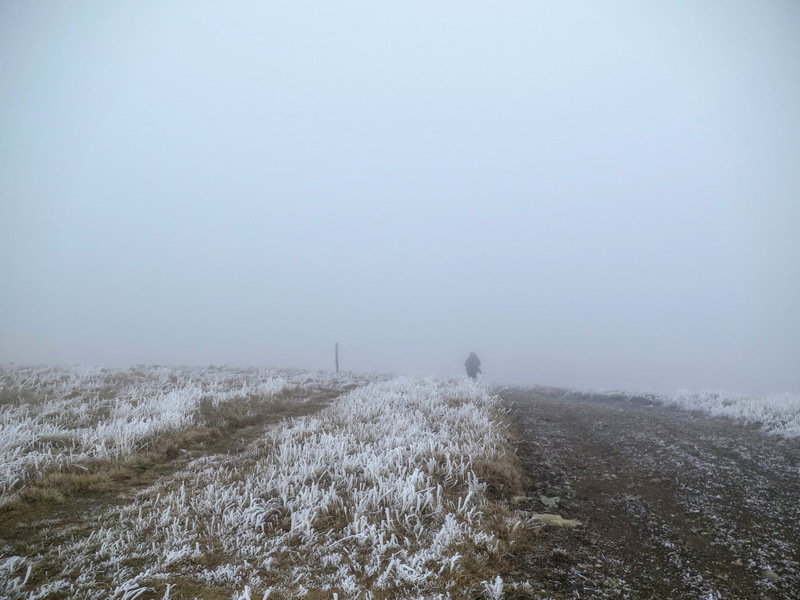 Mile 13.1 – Hike ends at Sams Gap. 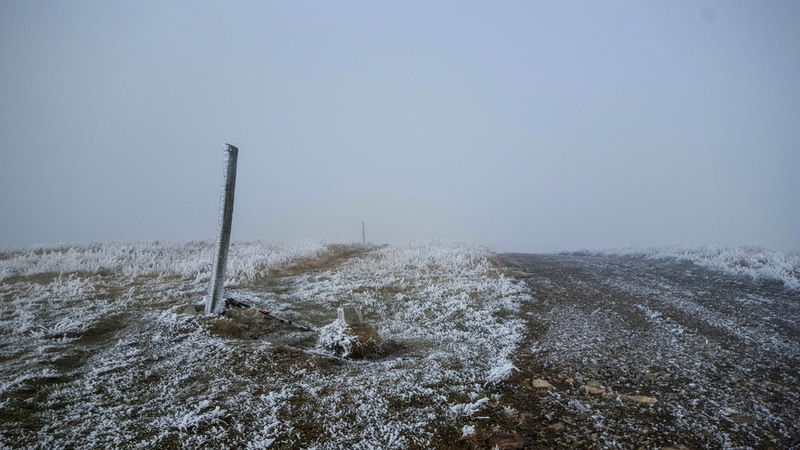 I hiked to Big Bald from the opposite direction, and I have to say, it is a pretty nice summit when it's not socked in icy clouds! I would rate this as one of the best views in North Carolina on a clear day. You can pick out almost every 6,000-foot peak, which is remarkable.